I am Rev. 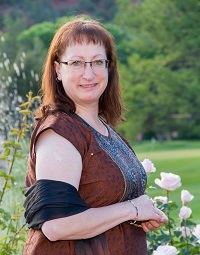 Dr. Jayne Gibson – a certified, ordained Metaphysical Minister. I design and perform Legal Wedding Ceremonies. As a Minister, I have far more leeway in my ability to create the ceremony that will honour you and where you’re both at, right now. I spend time getting to know you as a couple and your Love Story, so I can incorporate that into your wedding ceremony. No two ceremonies are the same. I personally don’t like a boring, stuffy, emotionless, legally binding ceremony that’s been repeated for every couple 1,000 times. I don’t imagine that you do either! Research, attention to detail and unlimited support is part of the service that I provide to each of my valued couples. I will keep us organized, nurture the process along and take the worry away so that you can relax and enjoy your day. Metaphysics is the exploration of Human Potential in a holistic way – physical, mental and spiritual, together with the Soul’s purpose – in search of the ultimate Divine or Universal Truth within us – The sharing of Love, and a lifestyle that produces fulfillment and happiness on a consistent basis. If I am the right person and you would like to learn more about my services, I invite you to visit my Weddings and House Blessings and Baby Blessing pages.